A friend of one recommended that I contact Sandy about my wedding invitations. She had a great experience and assured me that I would as well. Sandy is very kind and accommodating. Upon meeting with her she wanted to get an idea of what we were looking for and gave us time to look through her numerous books to get ideas. She has some great suggestions and although it took us a while to find the perfect invitation, we found the perfect “save the date” right away. She was great about contacting me about the proofs and making and changes that we needed. When we found the perfect invitation she had great suggestions as to how we could personalize it just for us. She was also great about helping us choose and create response cards, direction cards, and other parts of the invitation. She sent me several proofs and was more than happy to make all of my changes. She also did everything that she could so that we could stay within our budget, but still have the perfect invitation. Since the invitations went out we received an overwhelming amount of compliments about how beautiful and elegant they are. We couldn’t me happier. If you are looking for invitations for any occasions, Sandy is the person to contact. Rockland County Invitations is absolutely wonderful and the perfect choice for any occasion! I highly recommend their services. I could not have been happier with every aspect of my experience working with them. My family and I were able to find the perfect, high quality Save the Dates, Bridal Shower Invitations, and Wedding Invitations for an affordable price. They were beautiful! We were SO pleased with the outcomes and the ease of the process, that we even asked if they could assist with creating our Church Pamphlets (which also came out amazing!). The range of options was extensive, varying in styles and price, depending on your individual needs. 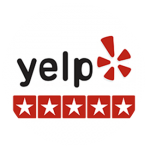 The service, advice, flexibility, timeliness, and attentiveness was excellent. The entire process was seamless. Sandy, at Rockland County Invitations, made our experience truly enjoyable, fun, and relaxing. It was easy to feel confident that everything would be handled, as she is a true professional that you can rely on. Right before a big event, like a wedding, it is so important and such a relief to be working with professionals that you can trust and depend on. You won’t be disappointed if you chose Rockland County Invitations!! I really can’t say enough. Sandy was great! She was very patient with my and my fiance and our family in going through many books and helped us with the wording of unique information cards. In addition she let us do many versions of the proof so we could get it just right. Also, we had a small issue with a few invitations in the mail (likely the manufacturers fault, maybe the Post Offices, NOT Sandys) and I was very upset about it. We contacted Sandy and she did her best to remediate the situation with the manufactuer and ended up doing our place cards without charge. She was very patient with all our emails back and forth and very responsive. In addition, working with Sandy felt like working with family, not a huge corporation that does not care about the product of the work. Expressions Unlimited was excellent! Sandy was very helpful throughout the entire process (and very patient 🙂 )When I first walked into the office I was very overwhelmed with the amount of books to choose from… but Sandy made it very easy. She first gave me two books to look through and mark off any invitations that I liked from those two books. From there she was able to see my style and taste. She then knew exactly what other books to have me look though. After looking through only two more books I had found my invitation and LOVED it! Even the price was right. Sandy was very helpful with the wording, envelope style and I also had her address the envelopes for an additional small fee (totally worth it!). I already recommended Expressions Unlimited to two of my friends who are currently using her and are also extremely pleased.